Would you like to be a Councillor? Welcome to the Sutton Parish Council website! 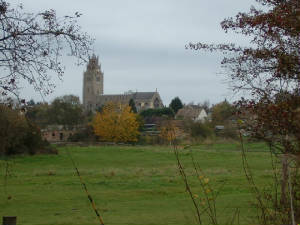 The parish of Sutton is situated 6 miles west of the Cathedral City of Ely, in the Cambridgeshire fens. The Parish Council has been in existence since 1895 and has 15 members serving the parish. Thursday 2nd May 2019 - Polling station - Village Hall, The Brooklands Centre. 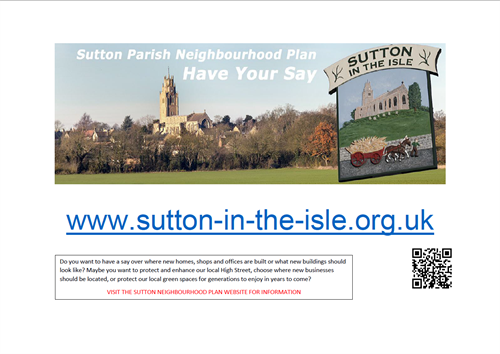 All electors for the Parish of Sutton will have an opportunity to vote for the adoption of the Sutton Neighbourhood Plan. For details of the plan please click here. Notice of referendum click here. Information notice click here. 4 Candidates have been nominated to fill the 2 seats on the Sutton Ward. The election will take place on Thursday 2nd May 2019. (Polling station - The Village Hall, The Brooklands Centre). Statement of those nominated click here. Notice of election agents click here. 12 residents were nominated to fill the 15 seats on the Parish Council. East Cambridgeshire District Council has delared the result of poll uncontested. Therefore the 12 nominees are duly elected as parish councillors. They will take their seats at the Annual Meeting of the Parish Council to be held on the 14th May 2019. Statement of those elected click here. 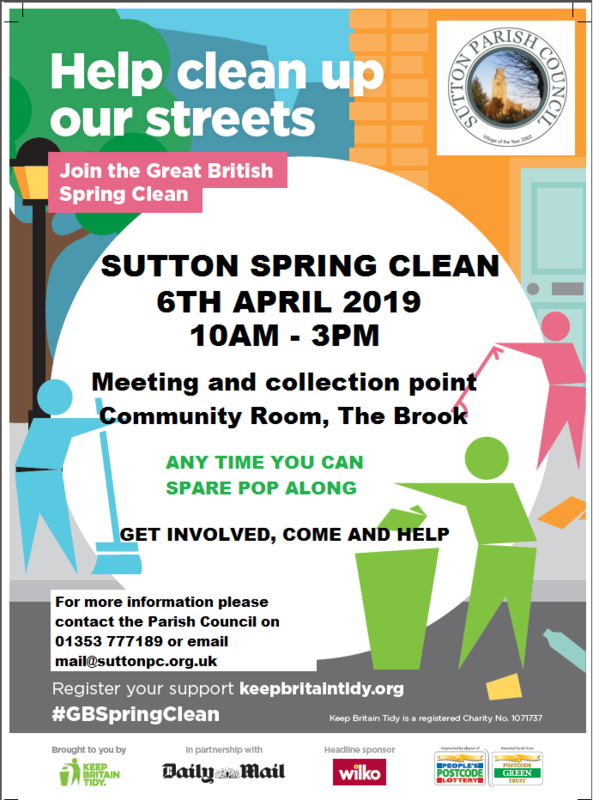 Come along during the times of 10am to 3pm, meeting point at the Community room (Front of School), collect some equipment and make Sutton tidy. If you have any questions, please contact the Parish Council Office on 01353 777189, email: mail@suttonpc.org.uk or pop in and see us at The Glebe, 4 High Street. Do you want East Cambridgeshire District Council to use the neighbourhood plan for Sutton to help it decide planning applications in the neighbourhood area? To read more information on Suttons Neighbourhod plan, please click here to go to the dedicated website. Would you like to be a Parish Council? - Please go to 'Would you like to be a Councillor' page for full details. As you may already be aware, East Cambridgeshire District Council has decided to withdraw its emerging Local Plan from its independent examination. Under the Town and Country Planning Regulation 2012 and the Planning and Compulsory Purchase Act 2004, the Council can withdraw a Local Plan from its examination at any time prior to its adoption. At the Full Council meeting held on 21 February 2019, the decision was taken to withdraw the Local Plan. If you have any questions regarding the withdrawal of the Local Plan, please do not hesitate to contact the Strategic Planning Team at East Cambs District Council. The greater cambridge parnership has just launched Choices for Better Journeys – a public engagement campaign about future travel in the Greater Cambridge area and beyond. In autumn 2017, Our Big Conversation asked people about the travel challenges they faced and their ideas for the future. Many people said that a more affordable public transport network, with better availability and reliability, would be of great benefit to them, and criticised the level of congestion in the Greater Cambridge area. They have looked at how they could significantly improve public transport across the area, alongside continued improvements to walking and cycling provision, to give people better choices for travelling into and around Cambridge. funding a future improved public transport system. Choices for Better Journeys will run until 31 March, please complete the survey to tell us your views. The survey has been developed in collaboration with Cambridge Ahead and in association with Cambridge Network and the Cambridgeshire Chambers of Commerce. They are hosting a number of public events across the region that you are welcome to attend. Choices for Better Journeys will be asking people about ideas and principles for better public transport, reducing congestion and improving air quality. Following this engagement, the GCP Executive Board will consider feedback and next steps. If you have any questions on Choices for Better Journeys, please don't hesitate to contact them by emailing consultations@greatercambridge.org.uk or calling 01223 699906. Cambridgeshire County Council are publishing traffic proposals, as per the public notices below. Further information, including drawings, will be available for viewing on the Council’s website from 28th February 2019, as explained in the notices. If you wish to make any comments they should be submitted in writing to be received no later than 22nd March 2019. Sutton Parish Council is inviting to tender on two plots of arable land at Chain Causeway, Sutton. Please contact the Parish Council office for a tender pack and further details. The land will be let under a Farm Business Tenancy (Agricultural Tenancy Act 1995). Closing date for tenders is Friday 29th March 2019. 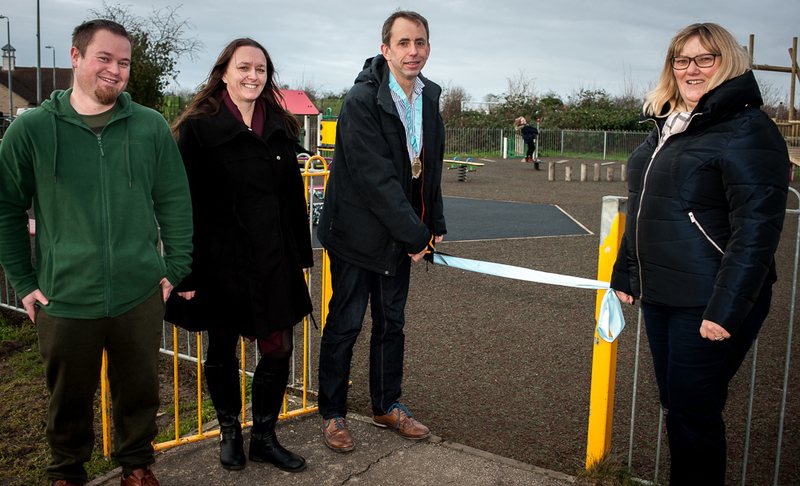 The work has been completed on the play park and it is now open. Please click here to see some pictures of the new Surfacing and 4 new items of equipment. Further to the recent consultation, East Cambs District council are pleased to inform the Parish that the Public Spaces Protection Order for dog fouling is now in place, making it an offence to allow dogs to foul in the whole of the district of East Cambridgeshire. Please click here for a copy of the order. The A142 Road Safety Route Study has been completed please see links below for documentation.